Seventeen Filipinas have been arrested for taking part in a secret Halloween party in Riyadh, Saudi Arabia. MANILA, Philippines — The Department of Foreign Affairs on Tuesday reminded Filipino workers abroad to respect the laws and traditions of their host countries. The reminder was issued after the arrest of 17 Filipinas in Saudi Arabia for attending a Halloween party in the Gulf state. "In its report to the DFA Home Office in Manila, the Philippine Embassy in Riyadh said the 17 Filipinas are being held at the Al Nisa Jail in the capital," DFA spokesperson Elmer Cato said. 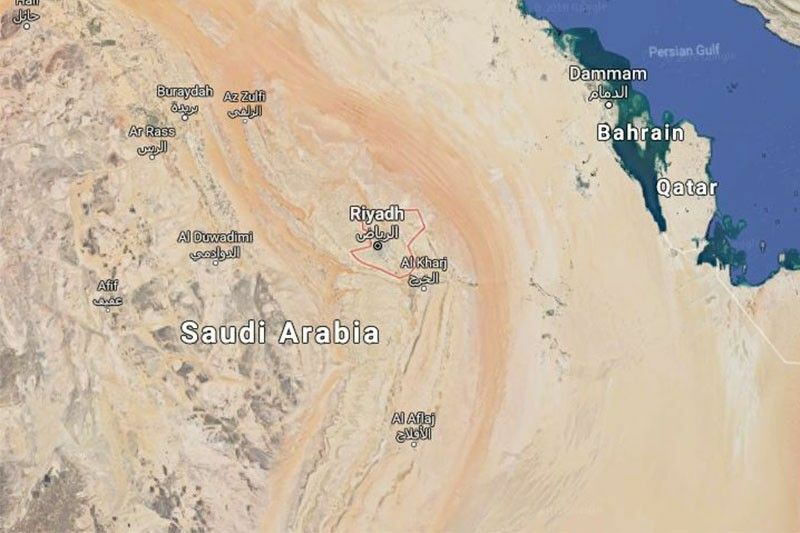 The 17 Filipinas were among those who were taken into custody after Saudi intelligence operatives raided a compound in Riyadh where the party was being held. The raid took place after neighbors complained of loud noise from the party. Initial information from the Philippine Embassy indicated that the organizers of the Halloween party have been charged for holding a party without a permit and for disturbing the neighborhood. "Saudi laws strictly prohibit unattached males and females from being seen together in public," the DFA added. According to Ambassador Adnan Alonto, it was not immediately clear what charges have been filed against the 17 Filipinas. The Philippine Embassy in Saudi Arabia has been requesting access to the detained Filipinas since their arrest last Friday.